At "A Dole Whip a Day," we love all things Disney and Disneyland. We're here to share that with you! Don't forget to subscribe! 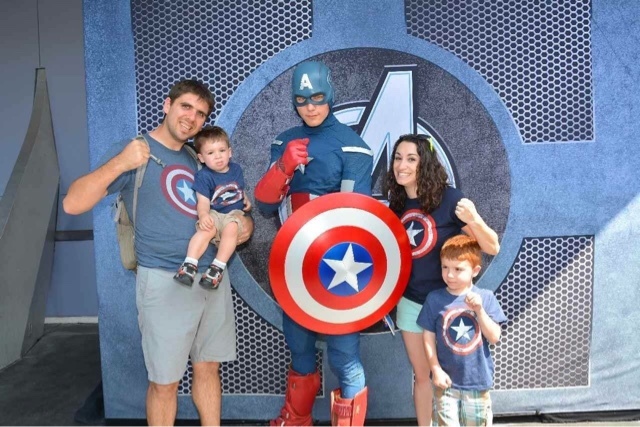 A Disney vacation is a big deal! You spend full, long days in the parks going on big rides, seeing over the top shows and parades, and eating huge meals. But sometimes it's amazing to see how the little things can truly change your trip from great to magical! On my last trip I was taking my 4 year old to the bathroom in Toontown when he dropped the paper towel he used to dry his hands. No big deal. I pointed it out, he picked it up and threw it away, and we left. Well, the Cast Member who saw it sure thought it was a big deal! She practically chased us out of there to give my son a special janitorial Mickey sticker and tell him he did a great job. It's amazing how something so little meat so much to him! He wanted to save the sticker instead of wear it and the whole rest of our trip, he kept checking in with me to make sure I still had it. CMs really have the ability to make someone's day with the tiniest gesture! If you come into Disneyland right at the opening, you're greeted by Cast Members wearing big Mickey gloves! They line up along Main Street to wave and high five guests on their way in. It's really something to see! You can hold your hand out and get Mickey five after Mickey five. My family dressed in Captain America shirts on the day we wanted to meet him. He loved it and made a big deal about it. Thor, on the other hand, wasn't nearly as impressed. "Oh...I see you're all Captain America fans..." He was a very good sport! It's pretty well know that you can get free buttons on your Disney trip, but what you might not expect is the reaction you'll get. If you're in a birthday button, Cast Members and pak guests alike will call out, "happy birthday" to you all day long (and sometimes when you least expect it.). Wear a, "Just Married" or, "Happy Anniversary" button and expect to be congratulated all day long. It brings an extra touch of magic to your already special day! Maybe you want to collect all of the pressed pennies. Maybe you want to meet all of the princesses. 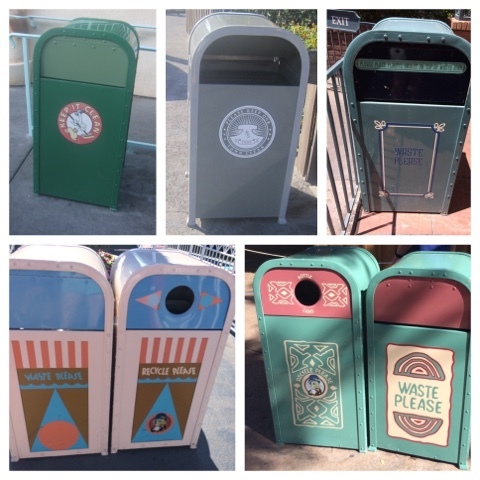 Maybe you're like me and want to get a picture of all the different garbage cans! Whatever it is, having a goal and needing to go find special things is a really fun little extra to keep you on your toes during your trip!